Want To Place A New Order? Chat: Looking for an immediate response to your questions? Use our chat functionality. Payments: You can make a purchase directly on our website or give us a call at 725-221-5280 and we can process your order over the phone. Shipping: Expect to get a tracking number from us same day of your order completion. We try our best to get the products delivered to you ASAP. We ship items using USPS, UPS and FedEx. 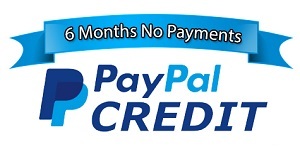 Contact support@x-ph.com for expedited shipping options. Extreme Power House is now one of the largest BMW aftermarket vendors with tens of thousands of customers. Our beginning however was very humble and we are proud to share it with you. The amount of time people waste searching for a magic shortcut to success never stops surprising me. Truth be told, the only real path is staring them right in the face. It’s about mastering a skill and then getting to work! It’s about ideas, opportunities, partners, and hard earned work. It’s about real entrepreneurs who start real businesses who provide real products and services to REAL people. Now I know that’s a mouth full, but if you think about it, didn’t that sum it all up? You know our brand to be a popular car performance parts vendor, what you don’t know is the trials and tribulations it took us to get that brand name. My name is Mike and I am the owner of Extreme Powerhouse, and I’d like to share with you just how bumpy this roller roaster ride was. It all started on a car forum named E90post. Little did I know at the time that this would be where I would meet my future business partner. After all, we’re all strangers with just one common interest, cars! His name is Mark. After many interesting conversations and long weeks passing by, we realized we both had (what we thought) were amazing ideas for a new company! After all, we were both software engineers. Safe to say we’re geniuses right? … No? … Ok. Either way we both shared a passion for cars and we’re big enthusiasts! So here come together these two strangers who decide to launch Extreme Powerhouse as a hobby. The first order of business was to draw up our business plan, then came the building of the website. Now Mark and I were both working full time jobs, and since this was supposed to be a hobby, we couldn’t dedicate as much time as we should have to building it. Most of the website work was done on the weekends, or realistically on an airplane. See, I used to travel across the country for work quite often. I took advantage of the 10 hour flights done on a weekly basis to get the website up and running already. Launching the company was supposed to take 3 weeks, but it took 3 exhausting months. Unfortunately, working on a 15’ Dell Inspiron during a red eye flight when you are traveling economy is not a great experience to say the least. Every time I had to type something, I found myself elbowing the person sleeping next to me. On August 4th, 2013 the legal documentation for Extreme Powerhouse had been submitted! After weeks of hard work the website was complete but we featured very few vendors. We did save money by creating the website ourselves. It turned out GREAT! … Just kidding, we soon realized that we were in way over our heads since the website looked awful, but we were broke so we stuck with it for 2 years. Launching Extreme Power House turned out to be harder than either one of us anticipated. At that time though we were just so ecstatic to finally have something live and running for our customers and vendors to view! I know the website isn’t as great as it should have been, but it’s Mark’s fault anyway. Since he’s not with XPH anymore, I find it easier to blame him for everything that went wrong during that time. 9 days after launching our website we get a call from a large vendor threatening to file a lawsuit against XPH. The lawsuit was never filed, but due to that circumstance we lost one of the few manufacturers who had signed on with us from the start. So now we have a website that isn’t very impressive to say the least. It was taking us much longer than planned to get the company up and running. The number of manufacturers that we were in contract with was embarrassing low. Then we get backlashed with a threatening lawsuit from a very important vendor. Basically the future of Extreme powerhouse looked as bright as the inside of a trash can. Did that stop us? No. We had this one shot to follow our passion; nothing was going to get in the way of that. We made a lot of mistakes in the beginning, but we saw mistakes as opportunities to learn and get better! Our customers were happy with our service and dedication and that was enough for us to keep going! However, our competitors weren’t too happy… Then again nobody cares about them. 6 months after the initial launch of XPH website this hobby was becoming a clear reality for more potential. It took me another 6 months after that to finally have the courage to make XPH my official career. So here I was quitting a steady engineering job for a company that was barely making enough to cover its expenses at the end of the month. Genius remember? Not at all. At that time it could have possibly been one of the worst decisions I could have made, but after 3 years of dedication, I couldn’t be happier! We slowly started developing our name brand and building a book of business. We had dedicated employees and loyal customers. The website was upgraded into what we always visualized it should have been from the start and I’m beyond happy with the progress. I’m proud to say XPH now offers products from over 150 manufacturers! Not to mention the thousands of loyal and supporting customers we have that’s allowed XPH to even stay in business! Now I know we still have a lot of room for progress and growth, but I’m happy with what we’ve made of XPH so far. Are you still reading this? Seriously? On a serious note though thank your for taking the time to get to know me and XPH. Please share with me your experiences with Extreme Power House during the last 3 years. I’m hoping that by the 5th year anniversary, I can go back and review your comments and the progression we would have made in the last 2 years. 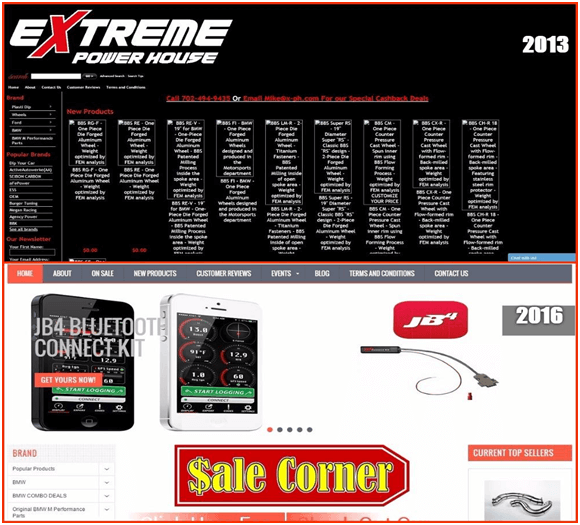 I found over 85 reviews on different forums and social media outlets from customers sharing their experience with Extreme Power House. I would like to thank every single one for spreading the good word! I will end this awfully long post by sharing with you the first review Extreme Power House ever got 3 years ago and last review since I started writing this.